The ice cream truck of the future is plant based. Be part of it! We are extremely excited to announce that we are crowdfunding our vegan plant based ice cream truck on Kickstarter (eeek #exciting). The campaign is running on Kickstarter from 4th April to 4th May. Our goal is to raise $10,000 which we will use to finish all the final fabrications we need to get the truck on the road this Summer. From the truck we will be offering a scooped ice cream version of our plant based flavors. This will give a completely different and unique experience from the soft serve which is on offer at the store. We wanted both the truck and the store to offer completely unique experiences so having the truck offer scooped vegan plant based “ice cream” seemed the perfect answer. Want to be part of it then visit our Kickstarter page here. We purchased our truck back at the end of last year. We had been going back and forth on what would be the best way of reaching more parts of LA. Having a food truck ticked all these boxes. We would be able to do events as well as visit different areas every day from Downtown to Silver Lake to Venice. Why we decided to crowdfund? Well, it was because we wanted to give something back to all those people who have supported us to date. By crowdfunding we could thank people by giving them rewards to use in the truck or in the store and let them be part of Frozen Fruit Co at the same time. The campaign starts at 10am on Wednesday 4th April and runs until 4th May. There are a variety of rewards from gift cards to private parties to custom t-shirts to even having the truck named after you. We have tried to offer a range of rewards. A great one is the early bird reward of a $35 gift card for $25 – which is limited to the first 150 backers. The best part of this reward is that you can use it in the store or on the truck so if you visit us regularly this is perfect for you. Likewise, love toppings then we recommend getting our “free toppings for a year reward” for just $30. BOOM – yes please. We’ve included for you below a sneak peak of the rewards. Our followers and customers mean the World to us. We wouldn’t be here without you and for that we are extremely thankful. Now lets make a change to the way we think about ice cream trucks. 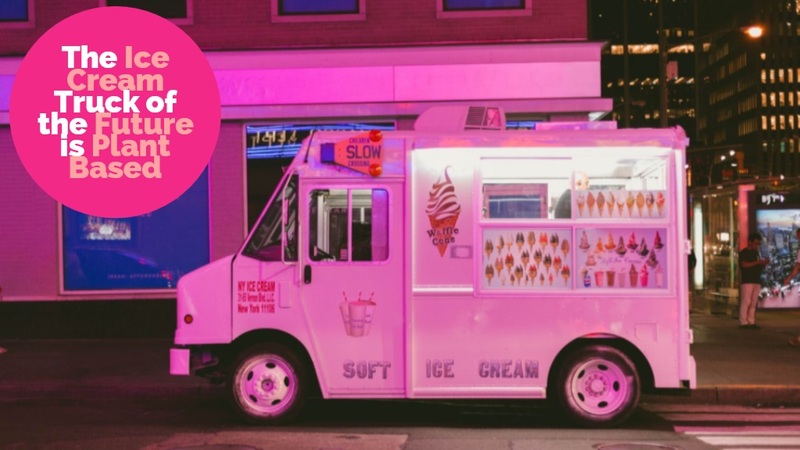 Be part of the ice cream truck of the future – oh and by the way its plant based.